For efficient drilling without a large compressor, count on the RDR 40 M rock drill. It's perfect for construction and utility work, as well as other applications. 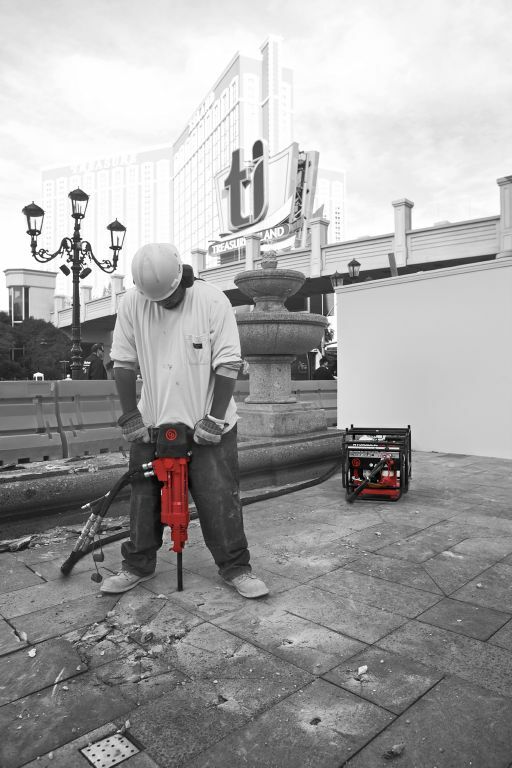 Choose this handy tool for drilling blast, anchor, and rock splitting holes and experience less hassle and more productivity. Light to work with and using hydraulic power for impact and rotation, the RDR 48 M will drill diameters of up to 2" and depths down to approximately 19.7' with a standard integral steel. A small additional compressor is needed for flushing. * Full details of measurement are available in the Safety and Operating Instructions of the product. 7/8" x 3-1/4" 7/8" x 4-1/4" 1" x 4-1/4"